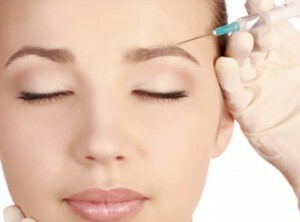 As injectable treatments for facial rejuvenation have become for popular, we hear more about some of the potential untoward consequences of injections. One of these is known as an ‘intravascular injection’ of fillers such as Juvederm® or Restylane®. When an injection is done, it is possible for the product to get into a blood vessel that supplies blood to the skin on the face. If significant enough to cut off the blood supply, the skin can lose viability resulting in skin loss, scarring and facial deformity. Fortunately this is very rare and can generally be treated if caught early. The earliest signs are generally pain at the injection site, an unusual amount of bruising in the area or skin discoloration where the skin looks pale or mottled in appearance. Notify your physician immediately if you sense something is wrong and only get these injections from someone who is an experience injector and who has hyaluronidase (Vitrase®) readily available. Contact us to see how Dr. McMahan can help you get started the best injections for your specific needs!